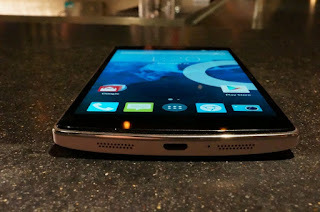 AnyIndo - In this article AnyIndo is gonna share an article it's How To Unclock Bootloader On OnePlus One. For additional information, Unlock Bootloader needed to modify system includes installing custom recovery to root, installing custom ROM or installing custom kernel on Android. If you think you understand with this little explanation and really want to unlock bootloader your OnePlus One, let's read and follow the instruction carefully. Unlock Bootloader will delete automatically all your data includes all file and data in internal memory, although this tutorial has very low to zero Hardbrick possibility. Prepare all possibility because we've tried to advise you. Back up all your file and data to anticipate all the possibility. Turn off your device and unplug USB cable form your PC/Laptop. Press Volume Up + Power on your device till FASTBOOT message appears on your device display. Plug USB cable form your device (OnePlus One) to PC. Wait until Windows notification appears for installing driver. Open terminal or prompt command on your PC, it's Windows. If you don't know how to enable prompt command on PC you can searching on Google because this is easy. Navigate to folder where you put extracted OnePlusTools file that you've downloaded. If on PC apperas serial number from your device, means it's connected and recognized by PC well. Then if there's no any serial number appear, you need to install "this file" manually first. Wait until your device be recognized by PC. Your device will reboot to be blank screen with Android display and some messages with Chinese language and some box options. If you don't understand Chinese language, just tap on the default box with blue color. If it's correct,your device will reboot again on Android mode with the setup mode (after total swipe). There will appear some messages and on both indicators typed true. Belum ada tanggapan untuk "Unlock Bootloader On OnePlus One"